This week I’ve got a couple of thing going on. 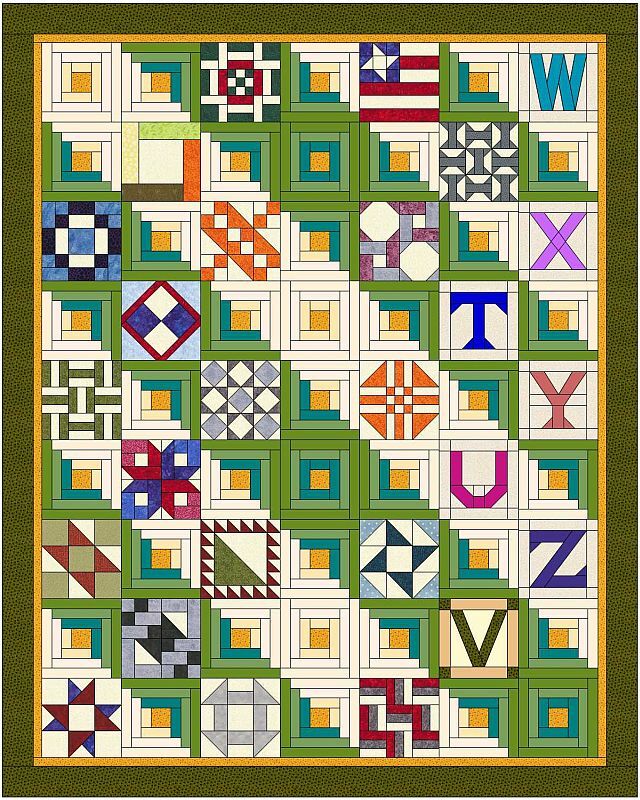 First off, I corrected the Rail Fence and Spools block for the Alphabet BOM. It really didn’t take long once I focused. There are still 7 more blocks, so I’ve been thinking about how I’m going to set 26 blocks. Nearly every plan I do I either have 1 block left over or need a few more. But playing in EQ I may have come up with an idea. Obviously the Letters are simply place holders and if I go with this plan there is no guarantee the blocks will end up in order. 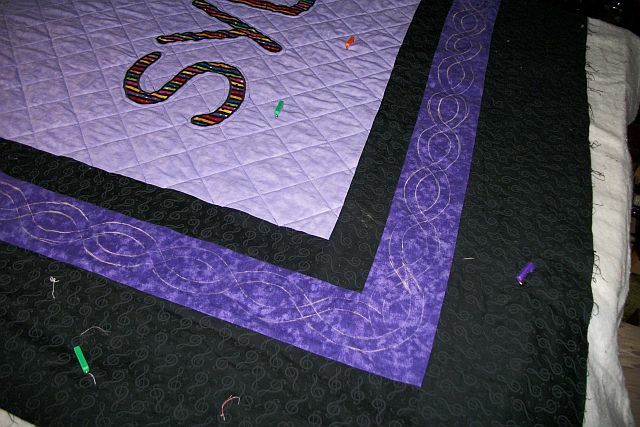 I’ve not forgotten Eeyore — I’ve got the cable marked on the center border. Now I need to clear the space around the sewing machine so I can finish it up. 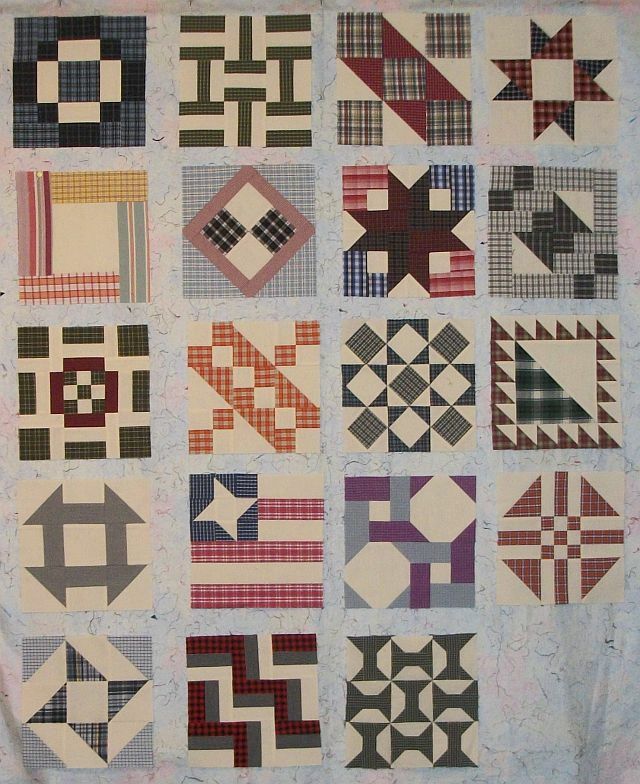 Check out the links over at Patchwork Times to see what others are up to this week. 26 Blocks is a hard number to put into one quilt. Hope you get your SEW/ Quilting time in this week.